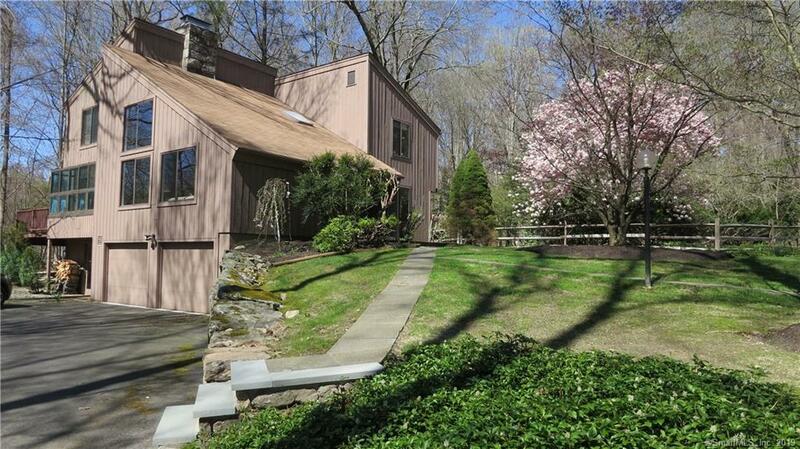 Wonderful Contemporary W/Inground Heated Gunite Scott Pool. Heart of the home is in living room with vaulted ceiling, complete with 2 story fieldstone fireplace. Family room has a second fieldstone fireplace with attached greenhouse room. Dramatic balcony overlooks LR and Fpl. Lovely random width pegged floors, updated powder room, updated Kitchen, workout room with sliders on lower level. Nicely situated on 2 level acres in Redding Center close to schools, Community Center and Redding Country Club. Don't miss this one!! !